Read: Best Engineered Hardwood Flooring - Complete with reviews and comparisons. Making the right flooring choice is a tough challenge we all have to face at times. Different people have different needs, and quite often our choices are dictated by our budgets. This is why in recent times we've seen the rise of manufactured wood floors on the market, which sell for a lot less than traditional solid wood items. This is why we've compiled this article, because people often can't tell the real difference between the two, besides the obvious price discrepancy. Let's see what is manufactured wood when compared to solid wood. As the name implies, solid wood is a term used for floor tiles made from solid wood. This type involves only the wood from a tree. Some say that solid wood is much more eco-friendly than manufactured wood floors, but that can only be said about makers who use materials sourced from managed forests. This also can be said about manufacturers that employ specific manufacturing processes designed to use very little energy. Flooring designers will also always say that solid wood pieces are much more elegant and stylish than their manufactured wood counterparts. Unfortunately, in most cases, solid wood is much more expensive than manufactured wood so it's out of reach for many. Unlike manufactured wood, solid wood can be modified or re-stained, so no matter how old, you can rejuvenate its appearance. Also, due to its solid build, it is much more durable. Speaking in terms of investment, it maintains its value, unlike most manufactured wood floors. Also, it is much easier to maintain, as a dry and a damp cloth will probably be all you need to keep it in good shape. Now that we've covered some main facts about solid wood, let's get you better acquainted with manufactured wood. Manufactured wood is also referred to as engineered wood, or manufactured and/or composite boards. It is actually an umbrella term for a range of different sorts of sheet materials. 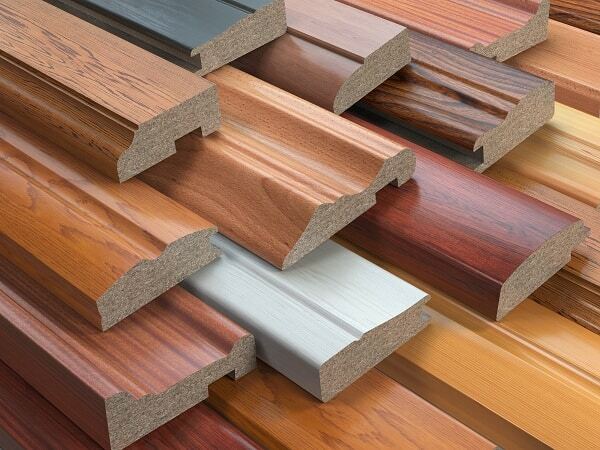 These materials are manufactured by bonding together fibres, wood particles, and veneers under high pressure. When not used in the production of such boards, these materials are often discarded as waste. This is why manufactured wood items are so cheap, compared to solid wood items. Besides the obvious cost-effective attributes, they are much more predictable in woodworking and they can be worked with regular power tools and woodworking machinery. This isn't the case with solid wood. It all begin in the United Kingdom during World War II, where utility furniture was first introduced, because they had to cope with rationing of consumables and a shortage of all different kinds of raw materials. Soon enough, we saw the expansion of the so-called ready-to-assemble furniture, also sometimes referred to as knock-down furniture. This was a little revolution in the world of home furnishings, and made it much more affordable to decorate your home according to your wishes. Plywood is basically the original manufactured wood, the one that started it all. It is also sometimes referred to as exterior plywood or WBP and it actually comprises hardwood veneers which are bonded together by resin glue. Before the process of bonding, the veneers are always oriented at right angles. In case you didn't know, WBP actually stands for weather and boil proof and it addresses the quality of the resin glue used for the bonding of the veneers. Nowadays, you can purchase three different classes of exterior plywood. Class one is only meant to be used in dry conditions, which includes several types of walls and furniture. Class two is designed for external use, but only under protected conditions. This type of exterior plywood can withstand the effects of weather, although not for prolonged periods of time. Class three is the most durable, as it is resistant to water and weather conditions for longer periods of time. It can also withstand water vapor, but only in locations with proper ventilation. Even though the glue is the main factor in durability, don't forget the fact that the quality of veneers may also dramatically affect the overall quality of the plywood. Several better and more expensive types of plywood utilize materials such as Marine Ply which is commonly used for the construction of boats, or Aircraft Ply which is used for the construction of airplanes. Birch plywood consists of birch plies which are quite easy to bend, so they are excellent if you want to make some curved forms. In case you didn't know, these are commonly used in the production of toys and furniture. 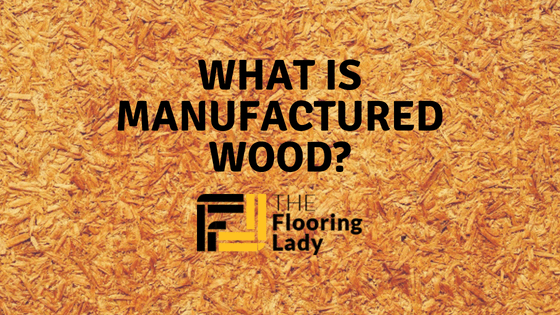 In this quest for the answer to what is manufactured wood, we'll talk about the two main types of fiber boards. These are hardboards and medium-density fiber boards. When you take some wood fibers, otherwise rejected as waste, and bring them all together under extreme pressure and heat, you get hardboards. Hardboards come in thin sheets and they are characterized by a fairly uniform density, thickness, and appearance. Also, hardboards don't have any grains. A great thing about hardboards is that you can easily work them with standard power tools and woodworking tools. You can also use nails, staples, or screws to secure them together. Certain types of glue can also be used. In most cases, these sheets feature a smooth surface on the top and a rough one on the underside. The upper one can be laminated with all different sorts of veneers, plastic laminates, or perhaps paper overlays so they can be used for the decoration of various interior items. Available on the market are also patterned hardboards with decorative shapes and patterns, tempered hardboard coated with linseed oil for improved durability, and pegboards which are basically the same as tempered ones although they come with regularly spaced holes. Another type of fiber board is MDF or medium-density fiber board. As the name implies, these are characterized by medium density and are made from wood fibers combined with synthetic resin. The resin is meant to hold all the particles together and is mixed in with them under extreme pressure and heat. These boards can be characterized by very smooth surfaces without any imperfections commonly expected with naturally sourced materials. If you put substantial weight on such a board, it will bend much more easily than a plywood board and it also isn't that resistant to water and weather conditions. This is why medium-density fiber boards are mostly meant for indoor use. The next stop in our solid wood vs. manufactured wood adventure is particle boards. Once again, we have two different types of particle boards. The first one is commonly referred to as chipboard. As you might've already guessed from its suggestive name, chipboard is made simply from wood chips, combined with sawdust and wood shavings. These are usually waste products, but once you mix them in with an adhesive type of resin and expose them to extreme pressure and heat, you can easily make some sheet boards. It is important to point out that these are not meant for exterior use. The surface finish might be great, but it is still very weak and unreliable when durability and structural strength are concerned. Most floors made from manufactured wood are actually made from chipboard, at least the most popular ones. Chipboard is often combined with plastic laminates to produce flooring that's inexpensive but has a great visual appearance. Another type of particle board is OSB or oriented strand board. It is also sometimes referred to as sterling board. This one is made from wood flakes that are bonded together with waterproof resin adhesive and extreme pressure. It is characterized by a not-so-appealing surface finish, but that's why it's commonly used as sheathing in building construction. Installation - If you need to know how to install floating engineered wood flooring then check this out. So what is manufactured wood we commonly refer to as blockboard? Do you know what happens when you take softwood strips and line them up edge to edge, and then sandwich them between several veneers of hardwood? You guessed it - you get blockboards. Once again, these are not meant for any exterior use as they can't really withstand exposure to water, moisture, or other weather conditions. 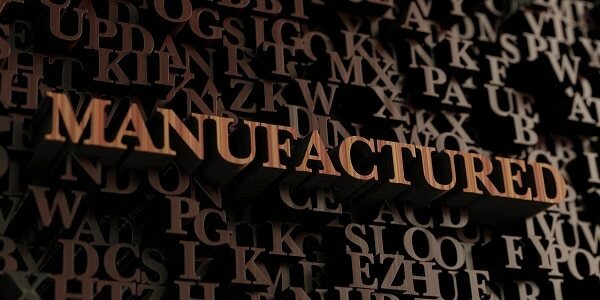 Some manufacturers use it to make tables and doors, while some others use it for various types of paneling or shelves. If you're planning on making something out of blockboards, make sure you choose laminboard as it is the most durable and higher-grade version of ordinary blockboards. 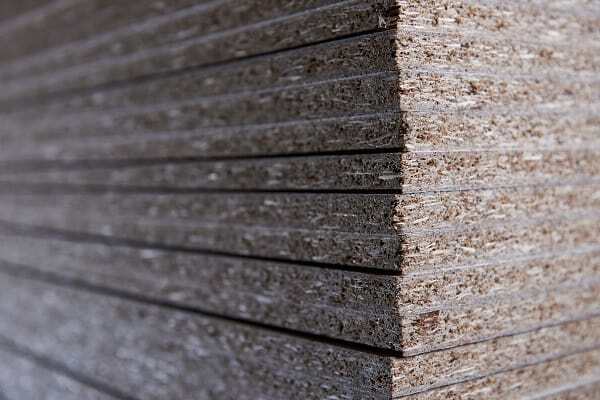 Battenboard is probably the lowest quality blockboard, as its core is formed of wider strips of softwood, which is why its durability is somewhat questionable. Now that you're fully informed about everything you need to know about the solid wood vs. manufactured wood dilemma, you'll be able to pick out your future flooring more wisely.